Evaluate Institute 2019: The evaluation is now live: Click here to complete the MESPA 2019 General Evaluation for your CEUs (17). View the full Institute Schedule! 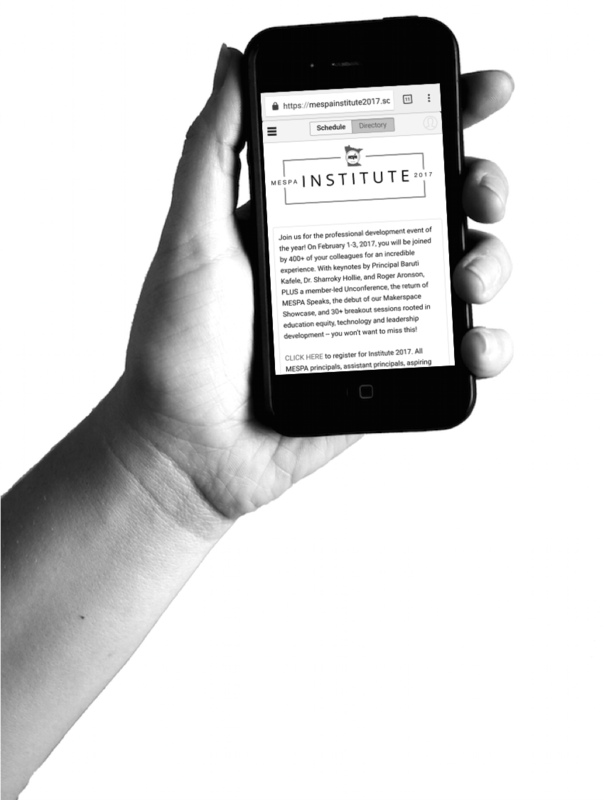 Our full Institute 2019 schedule can fit right in the palm of your hands! Our app is both computer and mobile friendly, and now there's no need to download anything onto your phone or tablet! 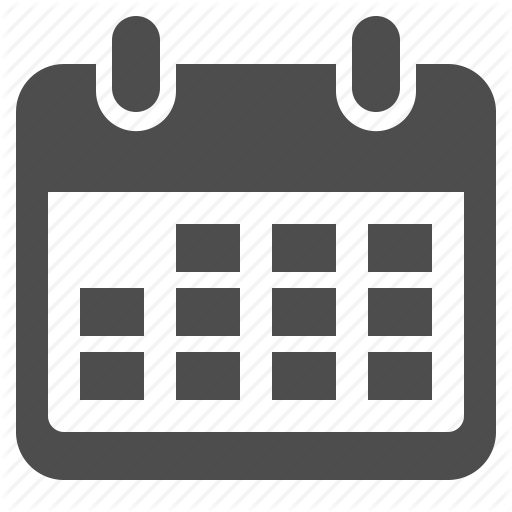 Simply go to mespainstitute2019.sched.com to view our schedule, plan your learning, see a conference map, a list of attendees and exhibitors, and much more! Click here for the full Institute schedule! Lunch begins at 11:45am, opening program to follow. Join the conversation online with fellow Institute attendees! Follow the hashtag #mespamn and tag @MESPAPrincipals to continue the learning online! It's not too late: Click Here to Register Now! Institute hosts over 400 of your elementary and middle level principal colleagues. With presentations from incredible thought leaders; over 25+ sessions rooted in mental health, education equity, innovation, and leadership development; MESPA Speaks performances by your own colleagues; the 3rd annual Makerspace Showcase; an Unconference in which you guide your own learning; and 80+ education-based exhibits... you won't want to miss this! Register now. 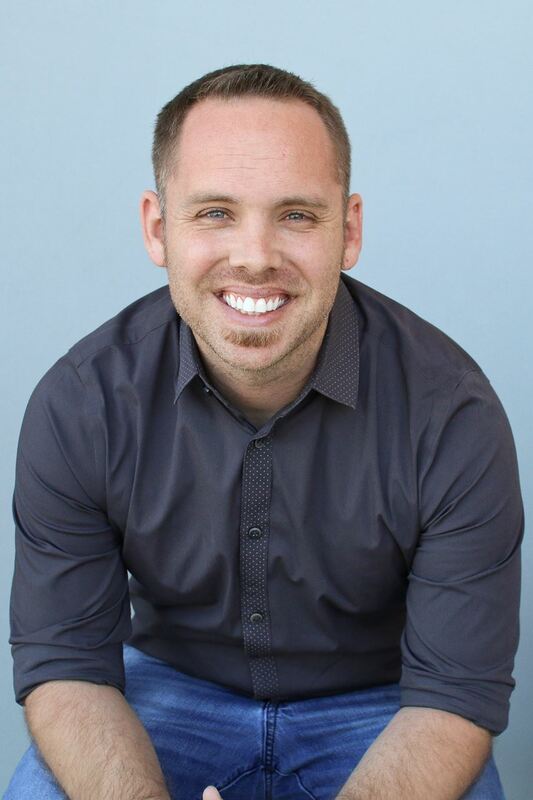 Todd Nesloney (@techninjatodd), author of Kids Deserve It, will open our conference on Wednesday with "Building a Powerful School Culture." Todd is the Principal/Lead Learner at a PreK-5 school in TX. Todd has been recognized by the White House as a Connected Educator "Champion of Change", the National School Board Association as one of the "20 to Watch" in Education, and by the BAMMYs as the "National Elementary Principal of the Year" among many other accolades. Todd is passionate about education and innovation. Todd was a classroom teacher for 7 years before taking the leap straight to campus principal in Navasota, TX. Todd took over a struggling campus, brought in a brand new staff, and used creative ideas to transform a school culture. Todd also co-hosts two iTunes Top Rated podcast series called "Sparks in the Dark" with Travis Crowder and "Kids Deserve It" with Adam Welcome. 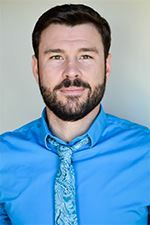 Dr. Clay Cook (@ClayCook_phd) will kick us off on Thursday morning with "Going Beyond Why Awareness of Trauma is Important by Focusing on What Schools Can Do to Address the Social, Emotional, and Behavioral Needs of All Students." This talk will discuss the why, what, and how of integrating trauma-informed practices so school leaders are able to incorporate a continuum of supports that remove social, emotional, and behavioral barriers to academic and life success. Dr. Cook is the John and Nancy Peyton Faculty Fellow in Child and Adolescent Wellbeing at the University of Minnesota in the School Psychology Program. Clay has extensive research and practical experiences involving the implementation of multi-tiered systems of support to promote children's mental and behavioral health. In addition to his research, he consults with school systems throughout the US to integrate a continuum of social, emotional, and behavioral supports to enhance student academic and life success. We have always looked for ways to PACK as much learning as possible into our 3-day Institute conference. 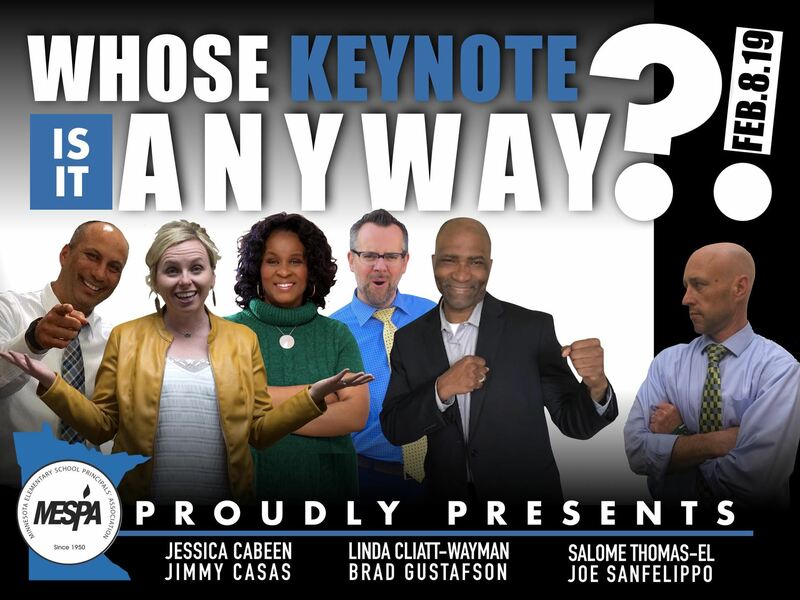 This year, we took that even further by having not one but SIX all-star educational leaders in our Friday keynote slot! Watch this space for more details on "Whose Keynote is it Anyway?!" as Institute approaches! You won't want to miss out on this collaborative, innovative, interactive session. Expand your learning with a Pre-conference Session! These excellent Pre-Conference sessions hosted by MN's 2017 NAESP National Distinguished Principal Jessica Cabeen and 2018 NAESP NDP Curtis Slater along with a team of principals! The sessions will be held on Wednesday, February 6th at 10:00am. Choose either as an add-on in your Institute registration and receive extra CEUs! WORKING TOGETHER TO CREATE THE FOUNDATION FOR PREK-3RD GRADE LEARNING BY LEADING. 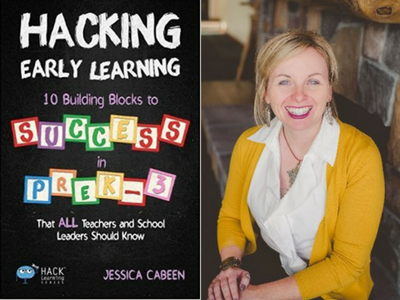 10:00-11:30am | 1 CEU | $20 – Includes copy of Hacking Early Learning by Jessica Cabeen! Wondering how to better align the learning in the early years with other grades? Wanting to make meaningful connections with families before they even enroll in your school? Ready to take the next steps to ensuring alignment of play is embedded in authentic learning experiences? Jessica Cabeen, 2017 MN NAESP National Distinguished Principal, will offer ideas and take aways school leaders can use tomorrow that will amplify the early learning experience and give leaders grounding steps to take their own knowledge of these critical years to the next level. Add the Hacking Early Learning Session to your registration for just $20 and receive a copy of Hacking Early Learning at the session! 1 CEU will be granted! "Hacking Early Learning gets to both the heart and mind of our youngest learners. The practical strategies allow the reader to set up an environment that works for everyone in the learning community. If you work with kids, or adults who work with kids, Hacking Early Learning is an essential component to your leadership toolbox." 10:00-11:30am | 1 CEU | $20 – Includes free books and resources! 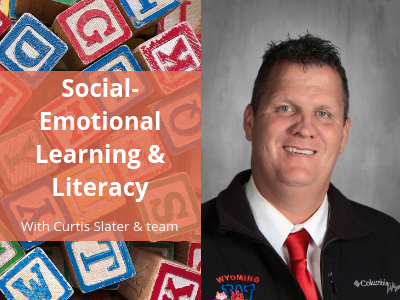 Presented by 2018 National Distinguished Principal Curtis Slater, Dr. Steven Geis, and a team of principals, this pre-conference session will focus on useful tools for integrating social-emotional learning into literacy in your school! Schools are an excellent setting through which to promote mental health and well-being, and educators are well-positioned to provide related instruction and support in our schools. However, educators often report that they lack the knowledge, skills, and confidence to deliver social-emotional learning instruction and to support students who struggle with mental health challenges. At this pre-conference session, we are going to share strategies that are working around the state and work together to collaborate around how literacy can help support social-emotional learning for your students, staff, and families. Free books and resources will be provided by Scholastic, and 1 additional CEU will be granted to participants. More information coming soon! Join us for our 4th annual MESPA Speaks on Friday, February 8th! We have a 2019 lineup that's going to blow you away – visit the app for more details! Can't wait until February for your dose of inspiration? 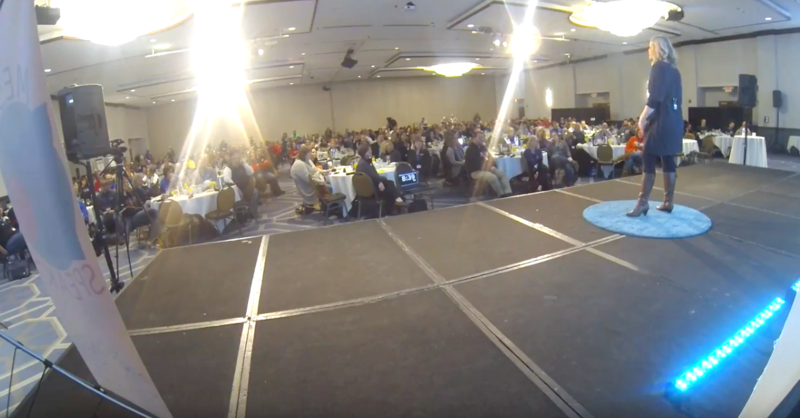 Click here to check out MESPA Speaks videos from the last 3 years. Principal Jennifer Stefan, Deer River Schools, presenting to MESPA Speaks colleagues at MESPA Speaks 2018. We are thankful for our 2 great Institute Co-chairs who will host Institute 2019 and keep us focused and energized throughout the conference. 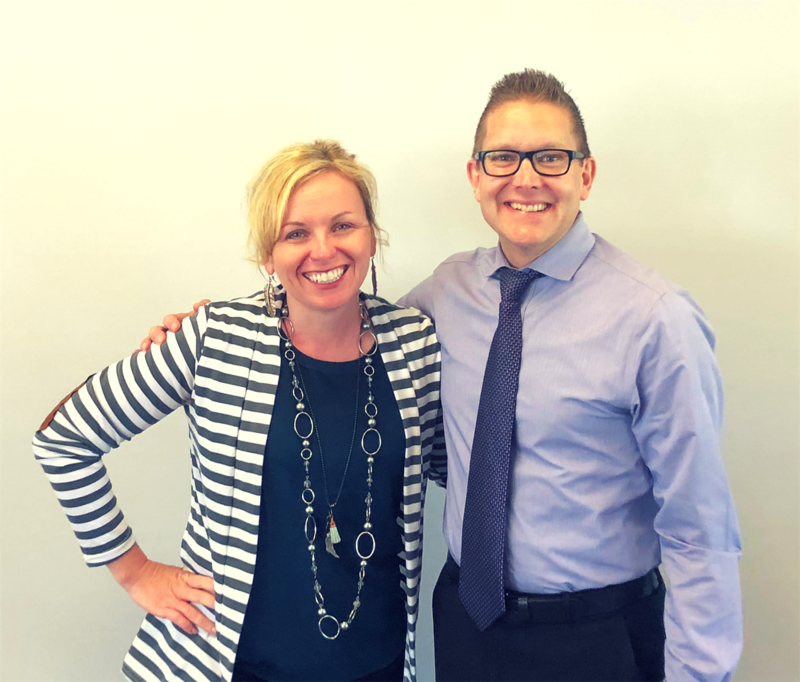 Welcome Paul Anderson, principal at Sand Creek Elementary, Anoka-Hennepin, and Jessica Cabeen, principal at Woodson Kindergarten Center, Austin Public Schools. These 2 have done a great job planning so far and we can't wait to see what fun and exciting things they have in store for us! NEW THIS YEAR: MESPA Book Fair! Join us in the exhibit hall Wednesday and Thursday at Institute for the first-ever MESPA Book Fair! Browse the latest and greatest in children's books, and do a little shopping for yourself by checking out their selection of books for school leaders! 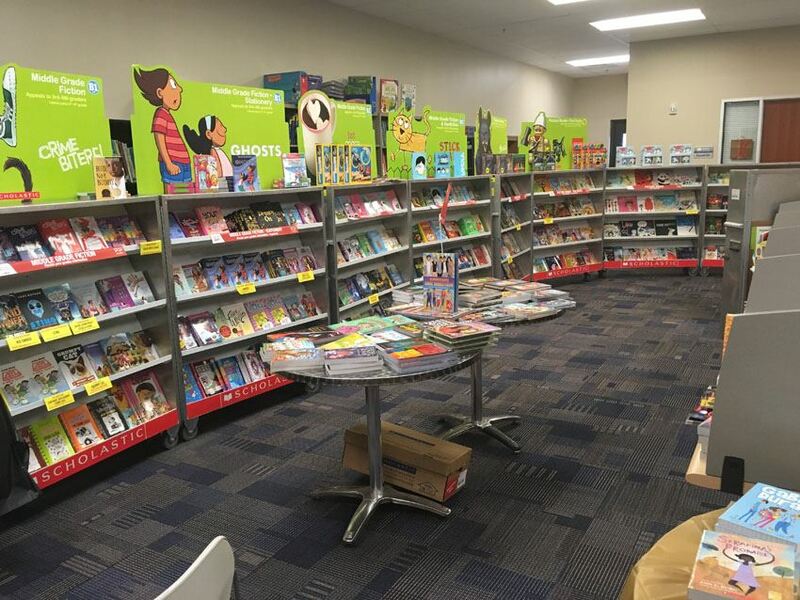 The Book Fair is operated by MESPA Premier Business Partner Scholastic Book Fairs. Back by popular demand: Take time to relax at the mesPAW Therapy Dog Showcase! Come learn from practicing principals about the benefits therapy animals can bring to your school community! Also, learn what it takes to become a therapy animal team. Plus, pet some puppies, of course! Take time to explore our Makerspace Showcase at Institute to learn about different kinds of makerspaces, explore how makerspaces can promote diversity & equity, and gather ideas for your school! Does your school have a phenomenal makerspace that you'd like to share with your colleagues? We'd love to have you join our Makerspace Showcase! Please complete this form to be notified when more information and sign-up is available. Get ready for the Unconference! First time attending Institute? Get ready for the Unconference (AKA "EdCamps" "Participant-Driven Conferences" etc. 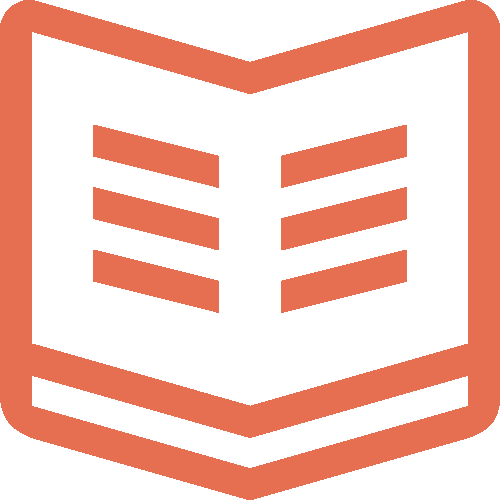 ), where you build your own learning. The Unconference is driven by YOU and is an opportunity to lead and learn from your peers. Click the video to hear from Principal Liann Hanson, one of our Unconference facilitators. Let us help you convince your Supt. that you NEED to be at Institute! 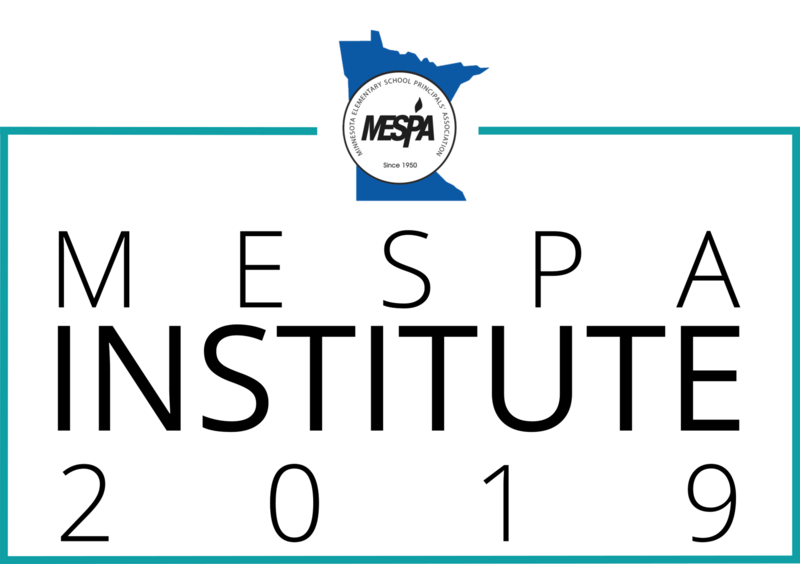 This letter template lays out all the reasons why your attendance at MESPA Institute 2019 will benefit your students, colleagues, school, and district. Use it to show your superintendent why their support and funding for your Institute attendance will help you grow as a leader and be even more effective in achieving district goals. Download the letter template. Exhibits are a vital part of our Institute experience and conference atmosphere. 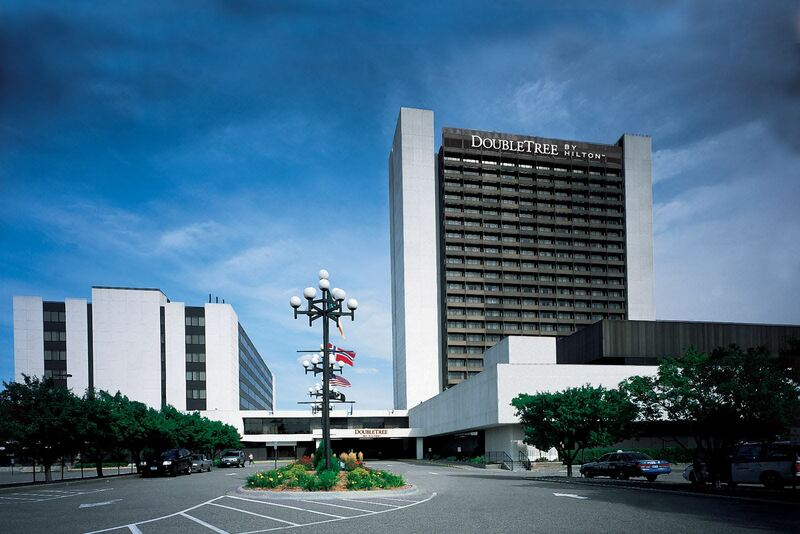 If you or someone you know wants to market materials and services exclusively to 400+ Minnesota elementary and middle level principals and school decision makers, MESPA's annual convention is the place to do it! We are currently at capacity for booth registrations, however, you can click the following links to learn more about what to expect as an Institute exhibitor, join the waitlist for 2019 in case a booth becomes available, or join the exhibitor mailing list to be kept in the loop when registration opens up for Institute 2020 Exhibits next fall. In the words of Principal Lisa Carlson of Woodland Elementary in Eagan: "If you're not at Institute, principals simply don't know that you exist!" Are you using an amazing educational product or service you think more principals should know about? Do you work with an awesome company/organization and or vendor who you think should be connecting with over 400 Minnesota principals and other educational leaders at Institute? Recommend them here! We appreciate all recommendations, throughout the year, and will follow up with your contact to make sure they know about the value of MESPA Institute Exhibits and have registration information. Have you seen a keynote speaker recently that you really loved? Is there someone out there you've been dying to hear? Know of someone who would a perfect fit for Institute? Recommend them here! Any time of year, your recommendation is welcome and much appreciated. Institute 2018 was a hit! The results are in: you rated Institute 2018 as the best Institute ever! Our 2018 app is still up and you can still access materials and resources at mespainstitute2018.sched.com. Our exhibitors made our conference a huge success! You can still check out our list of exhibitors and get in touch for great resources, products, and FUN for your school! Click here for a list of our 2018 exhibitors! Want more High Quality PD? 23 Jan 2019 10:00 AM • 7 regional locations: see description! Thank you to our 2019 Exhibitors for making Institute possible! Also, a special thank you to our Business Partners for supporting MESPA year-round.